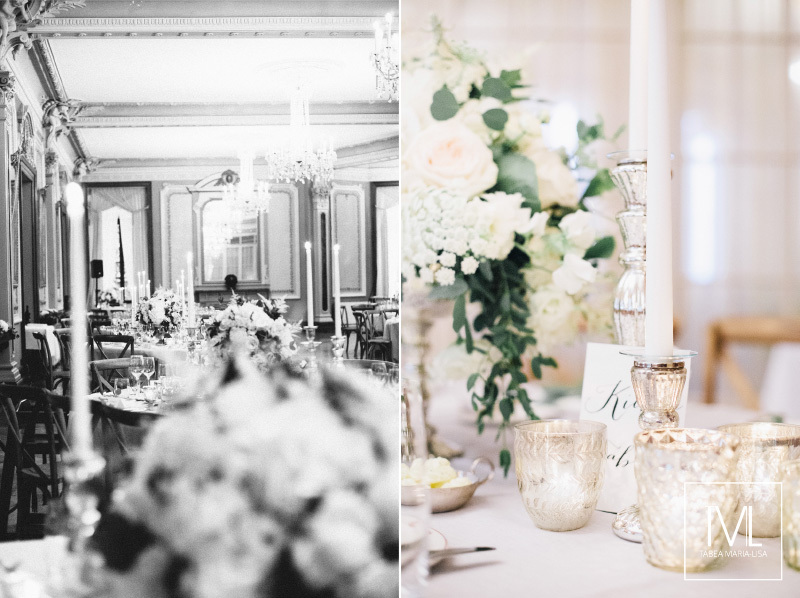 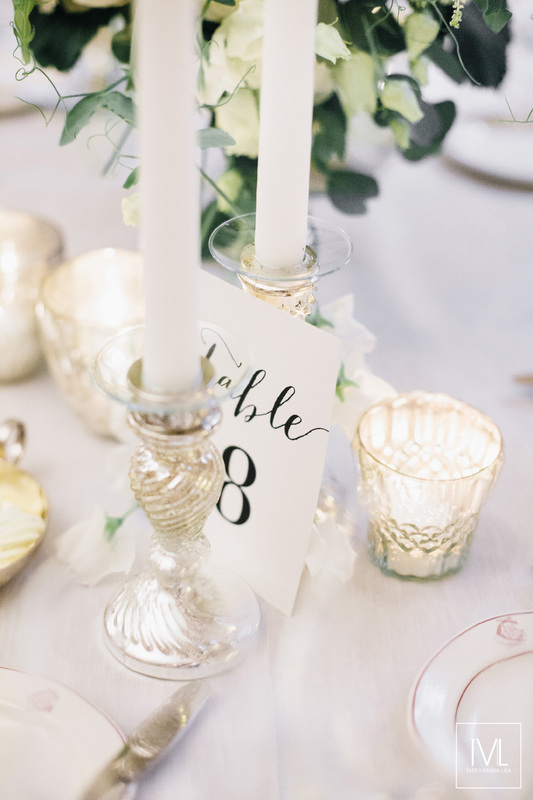 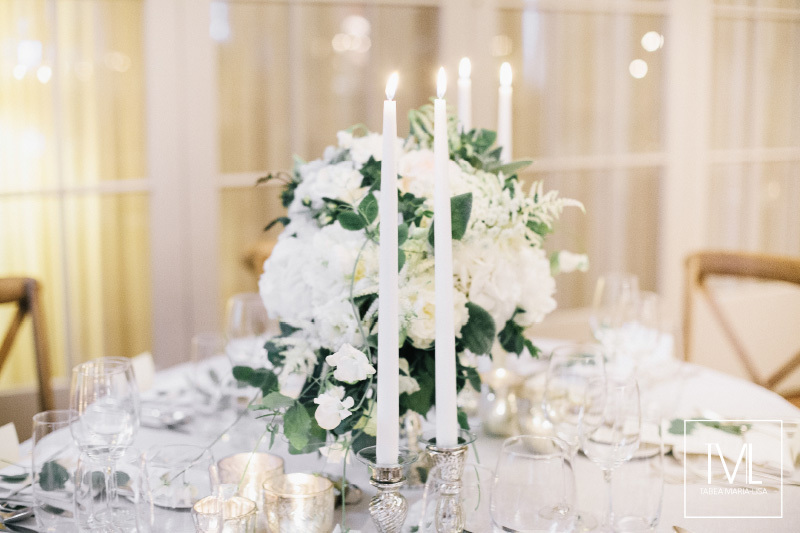 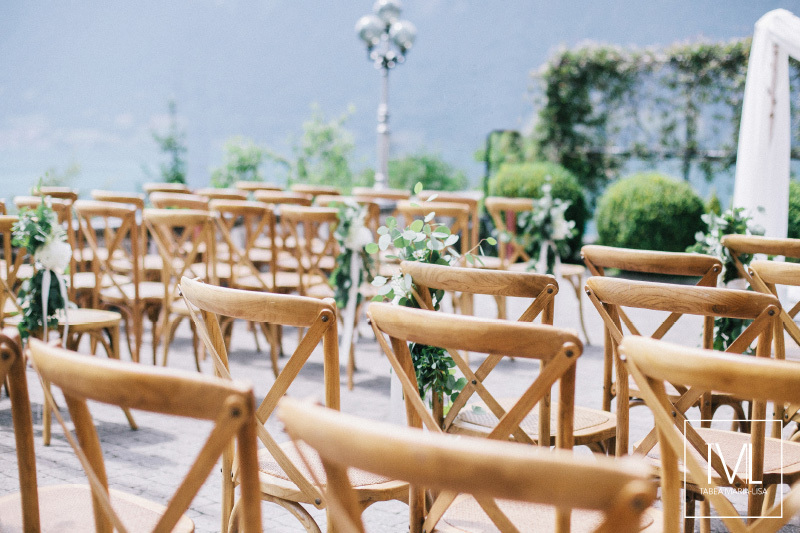 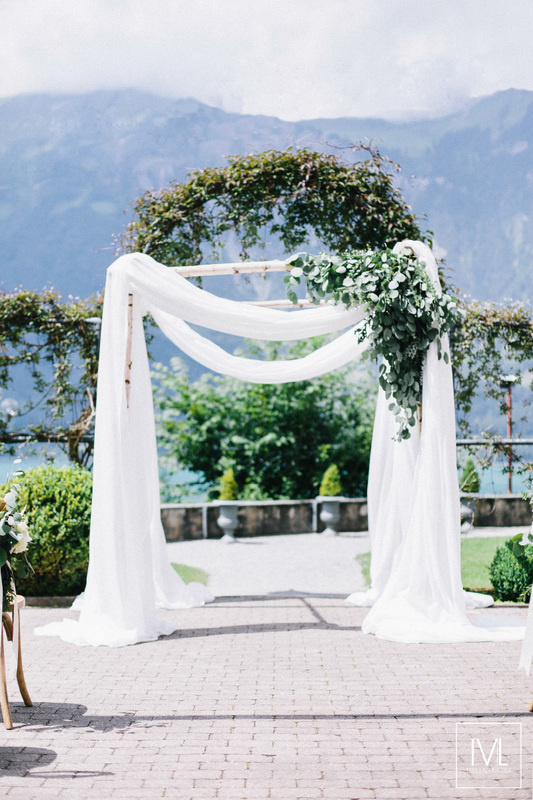 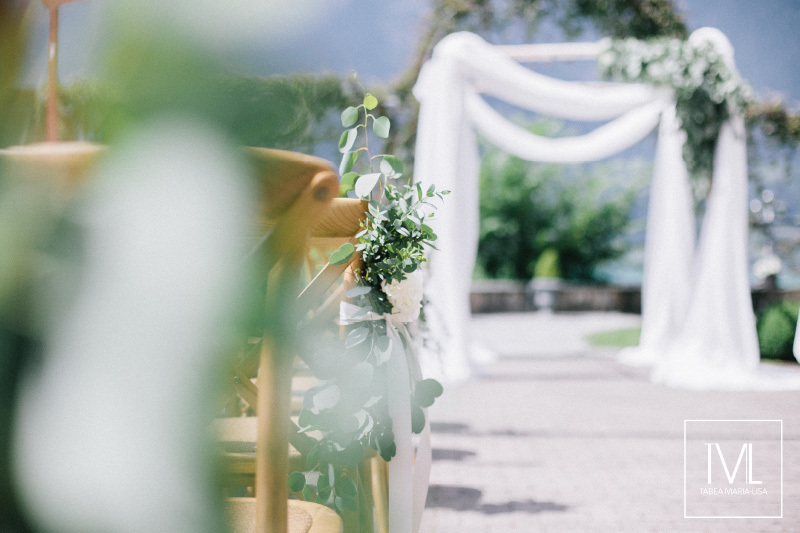 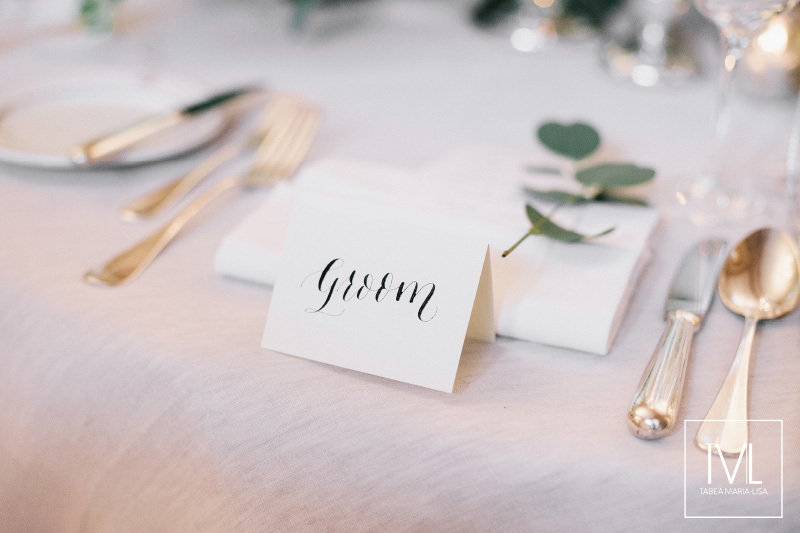 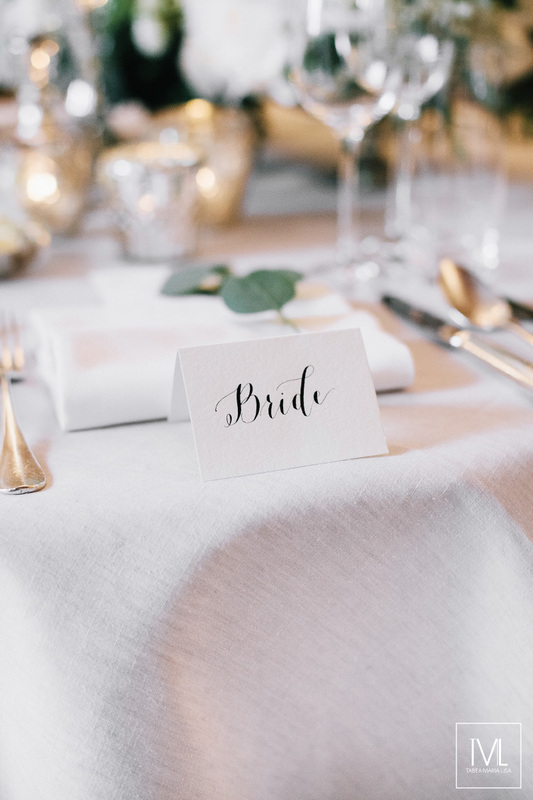 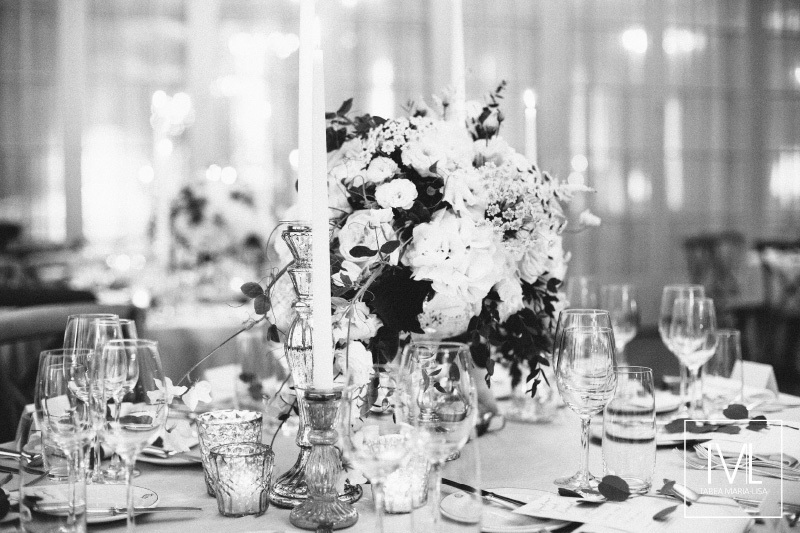 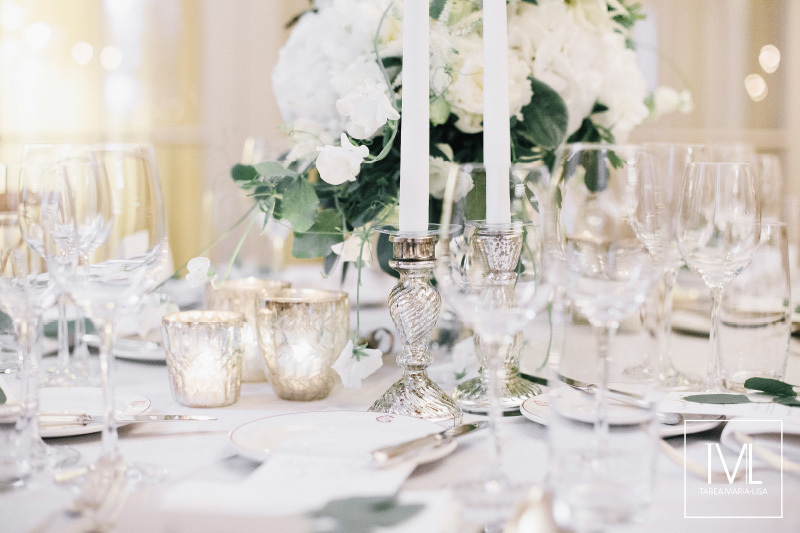 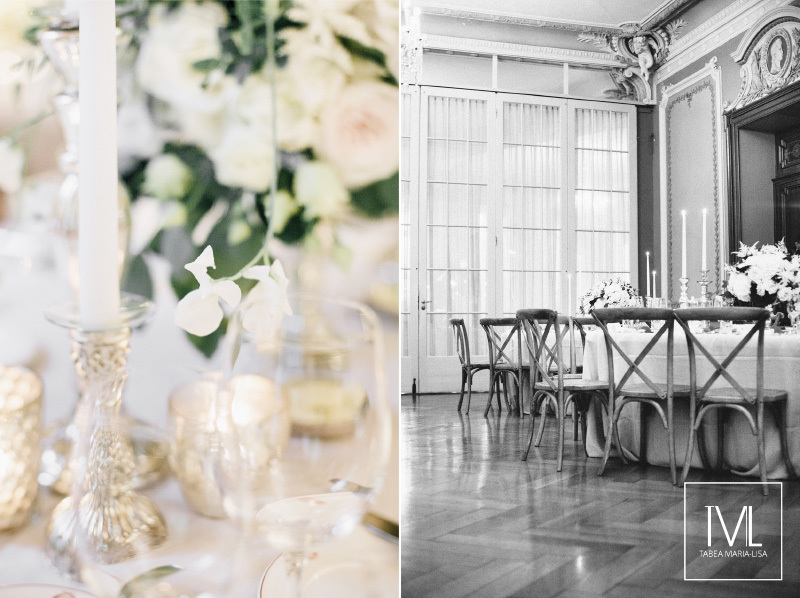 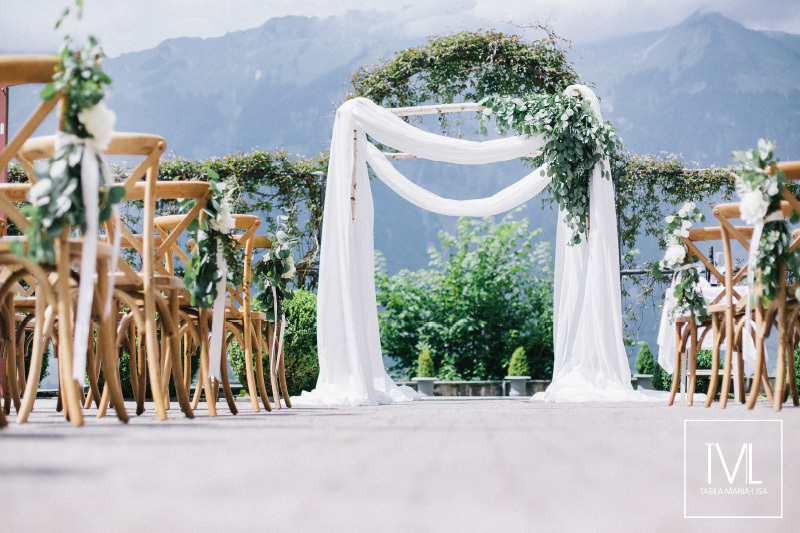 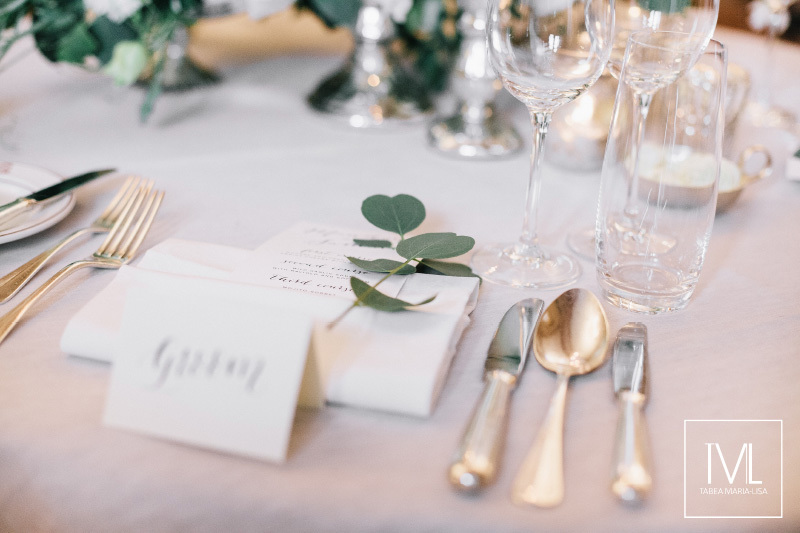 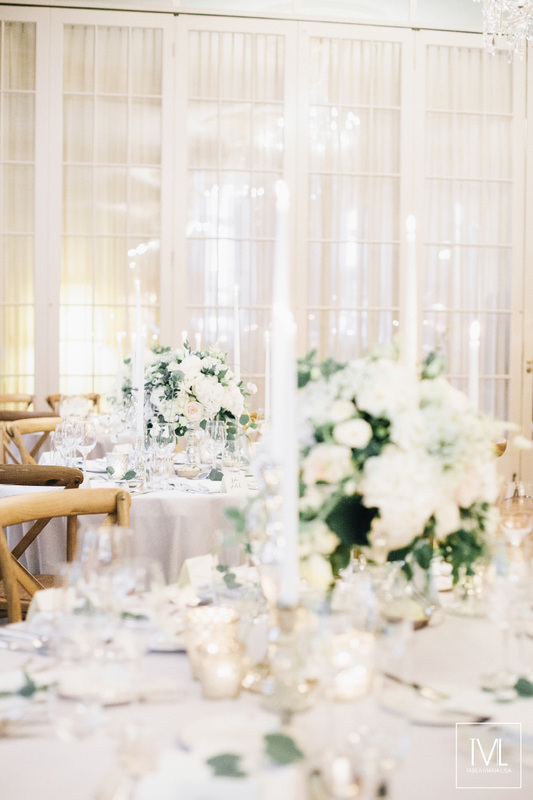 Many of our bridal couples decide in advance of our meetings to give their wedding this typical style – like modern chic, organic or bold and rich. 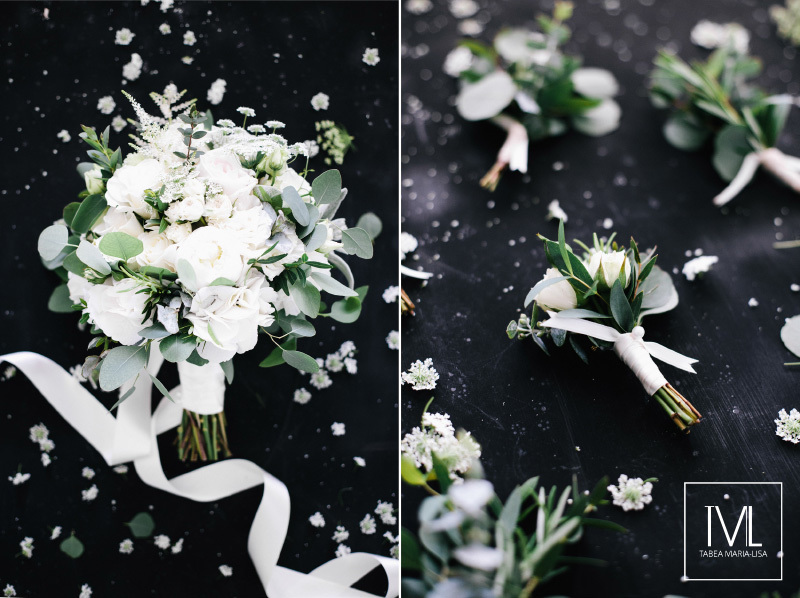 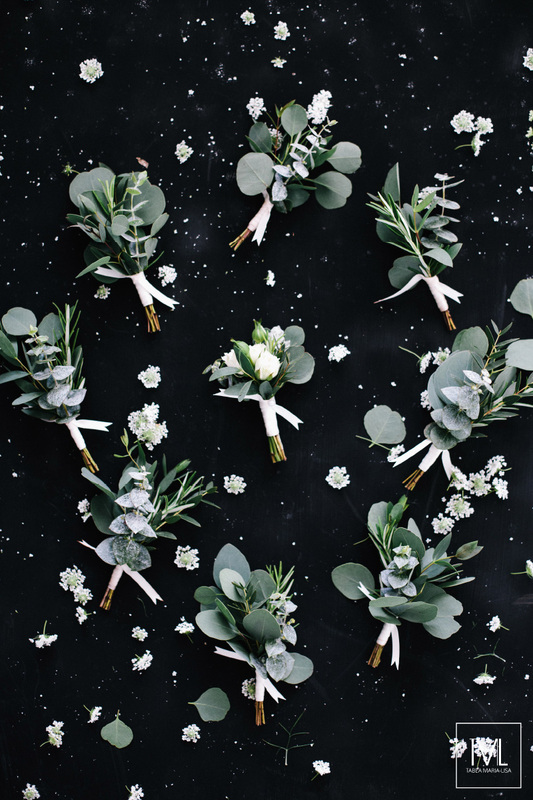 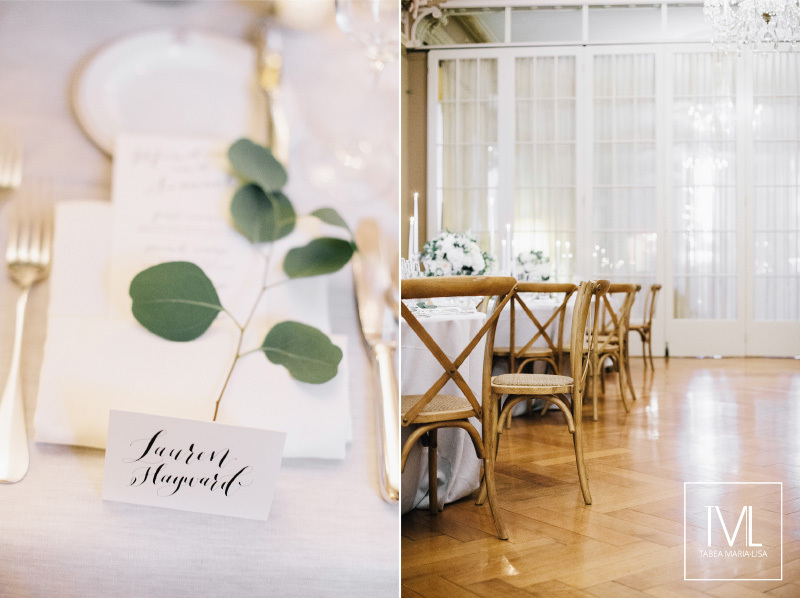 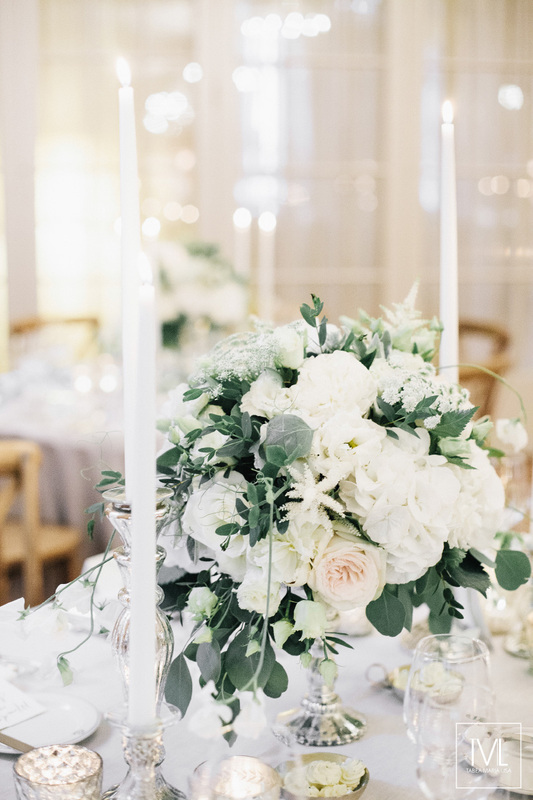 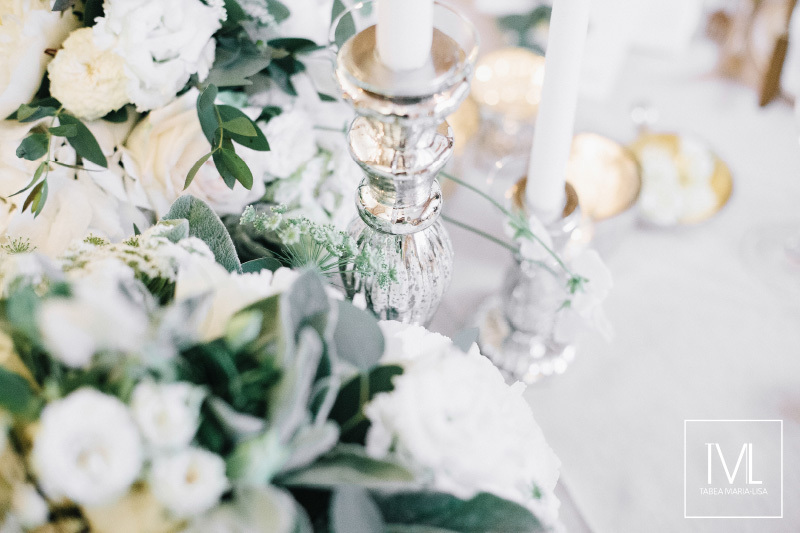 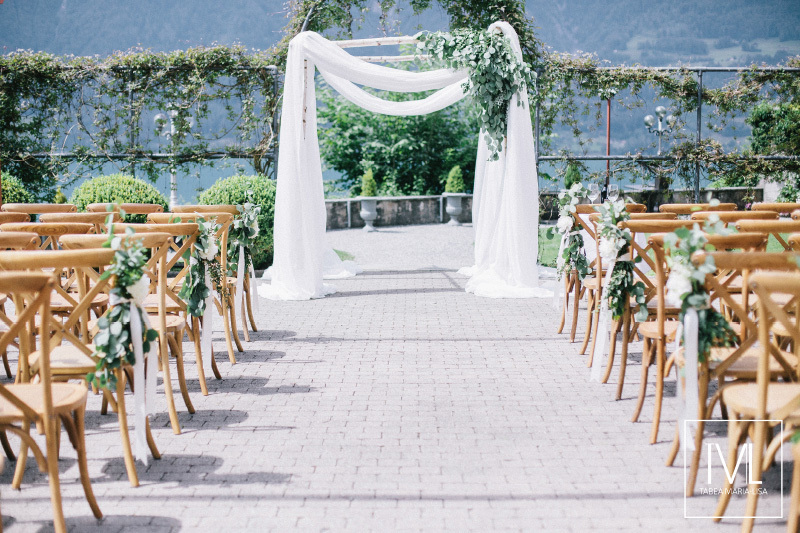 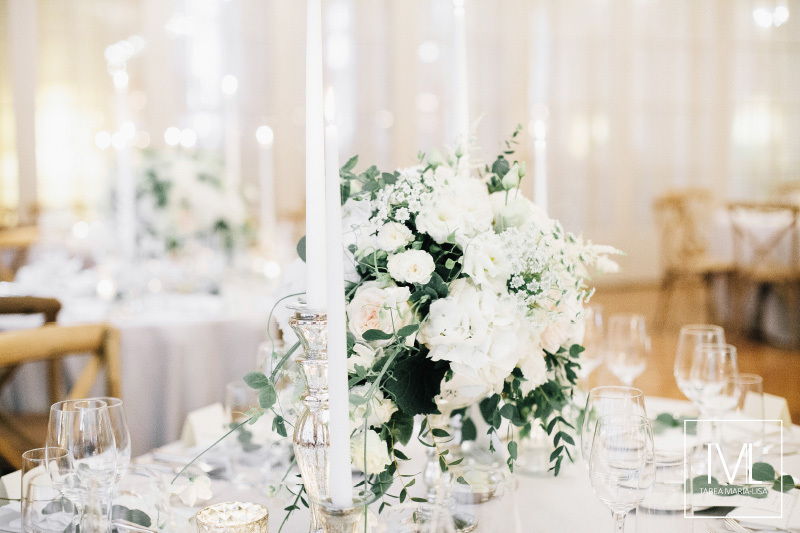 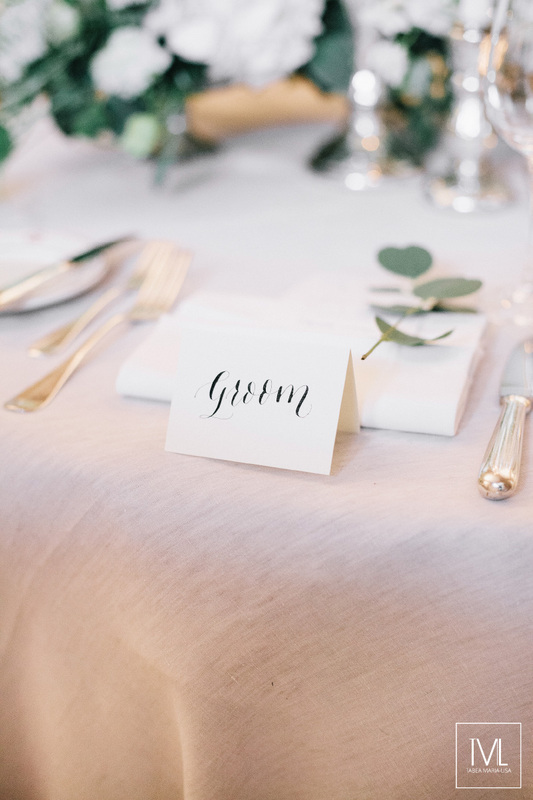 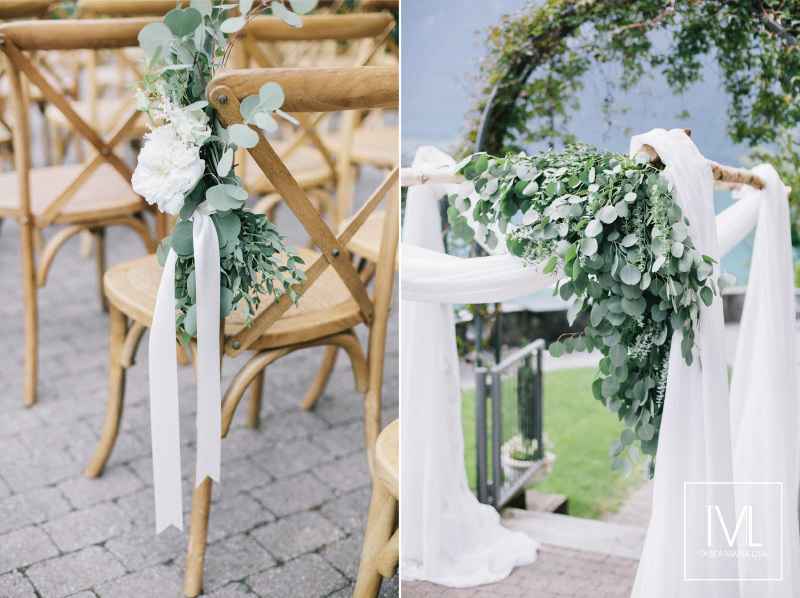 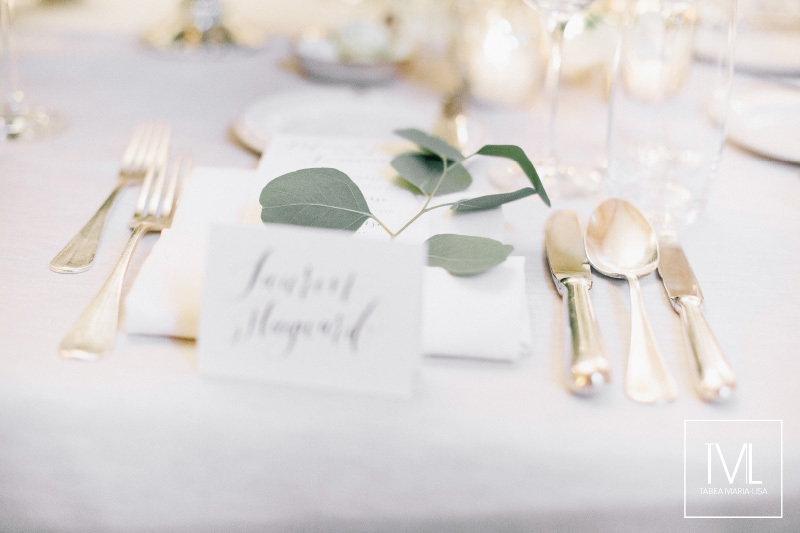 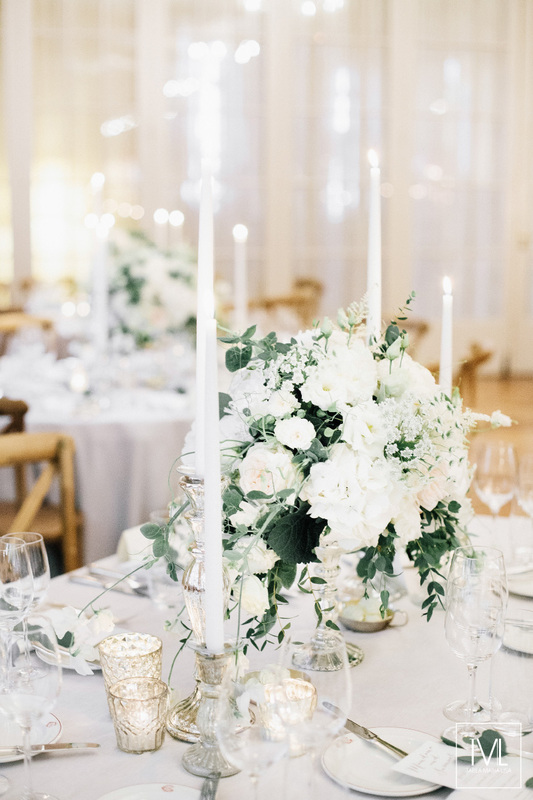 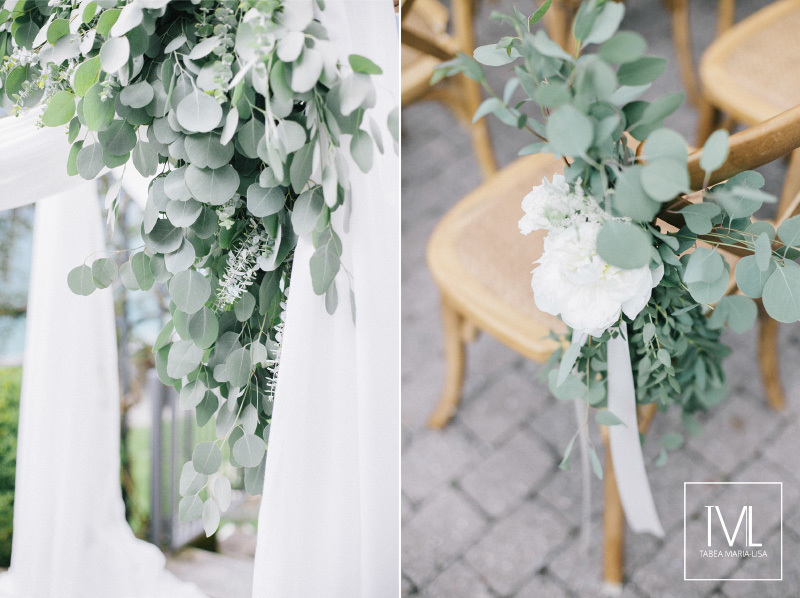 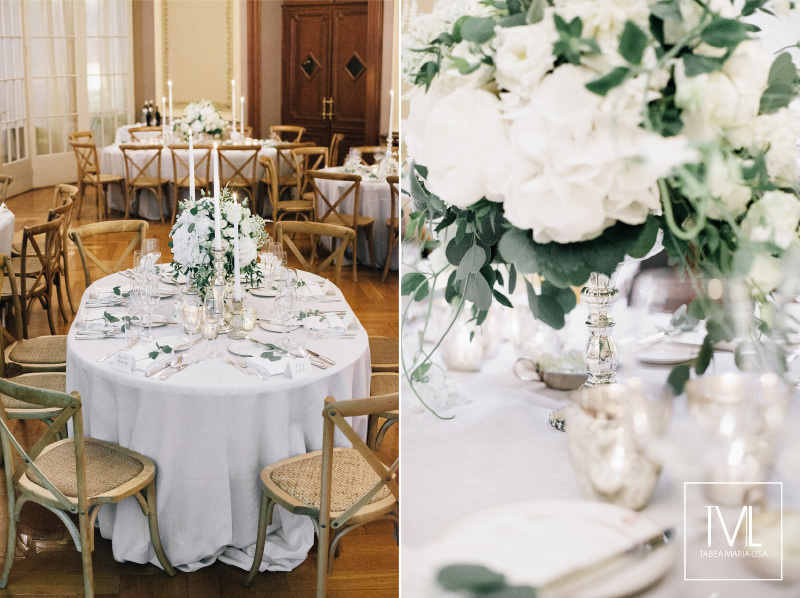 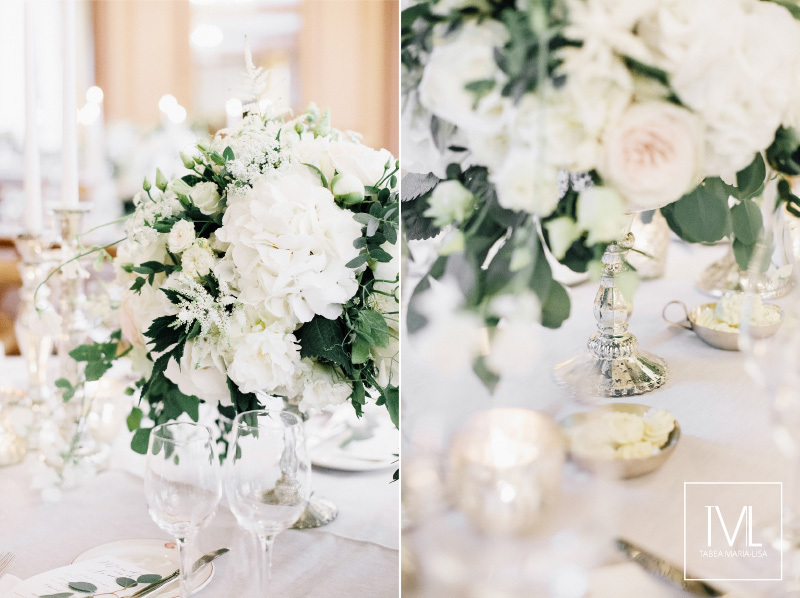 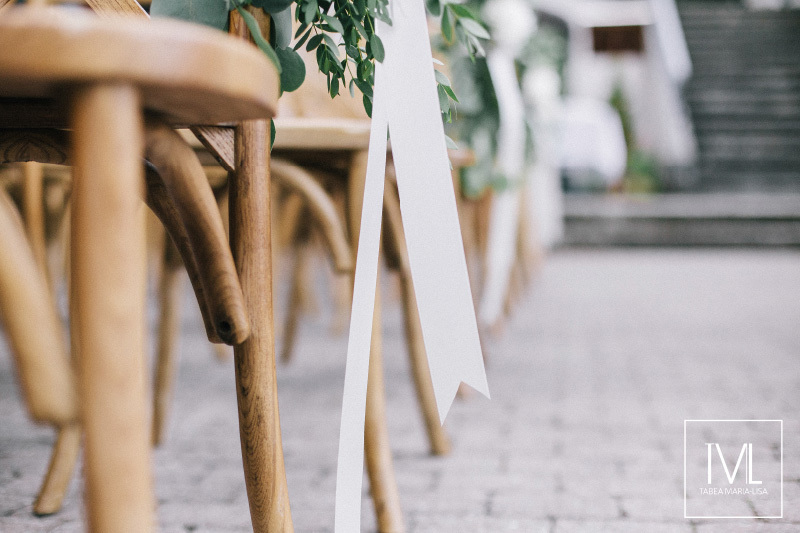 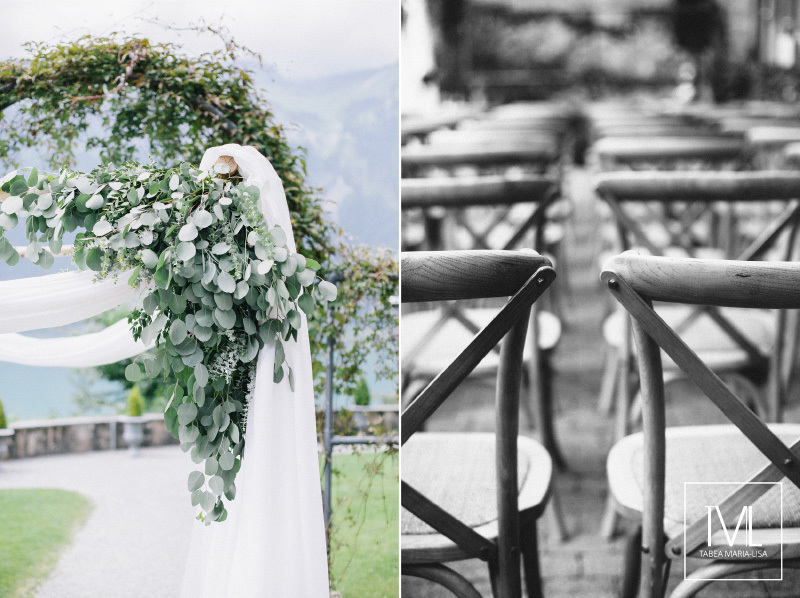 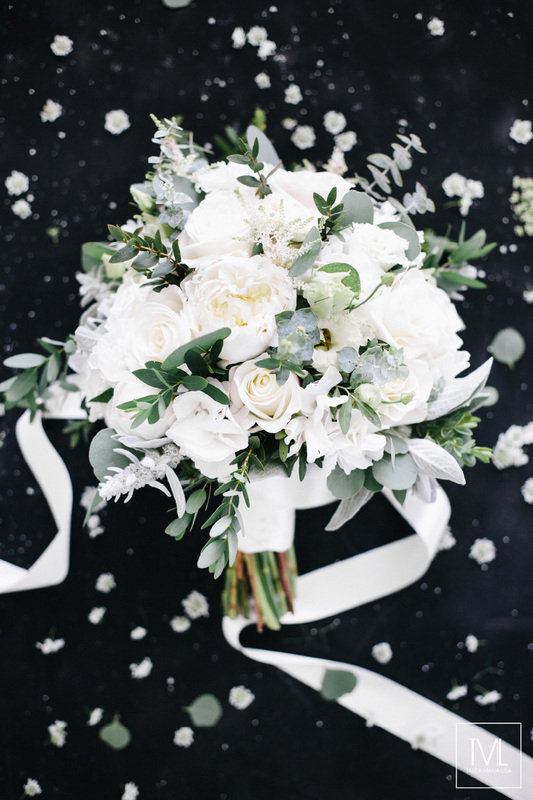 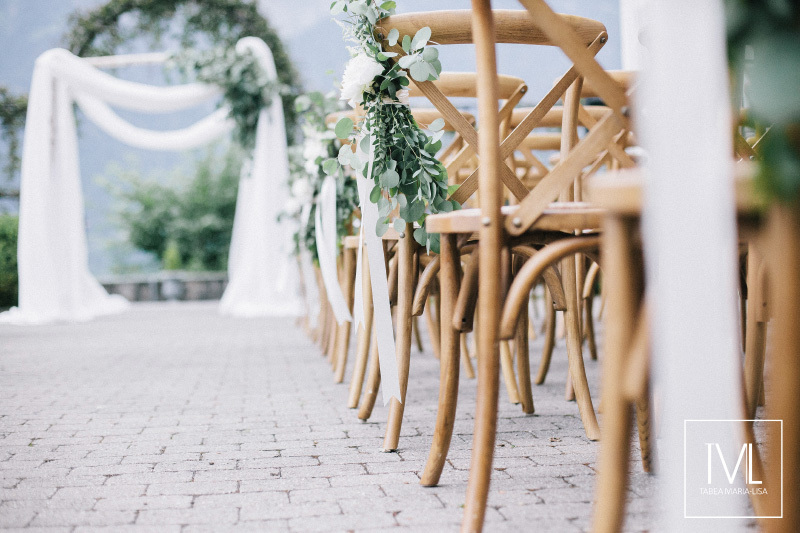 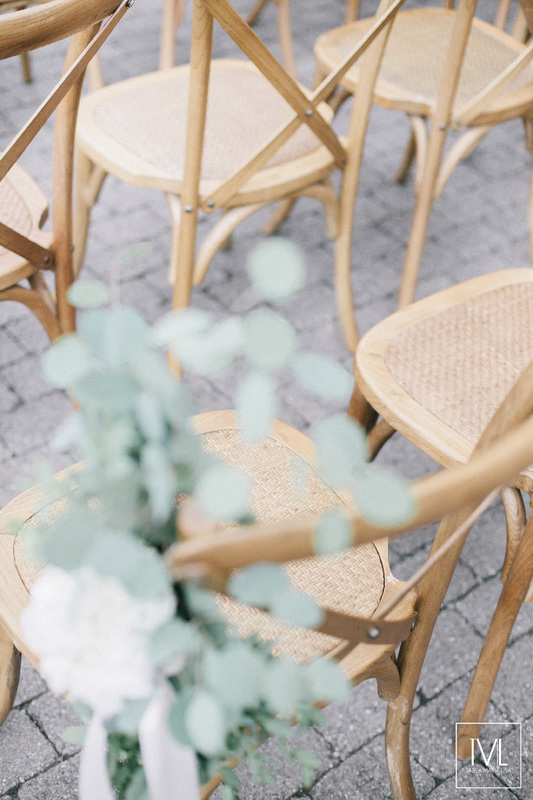 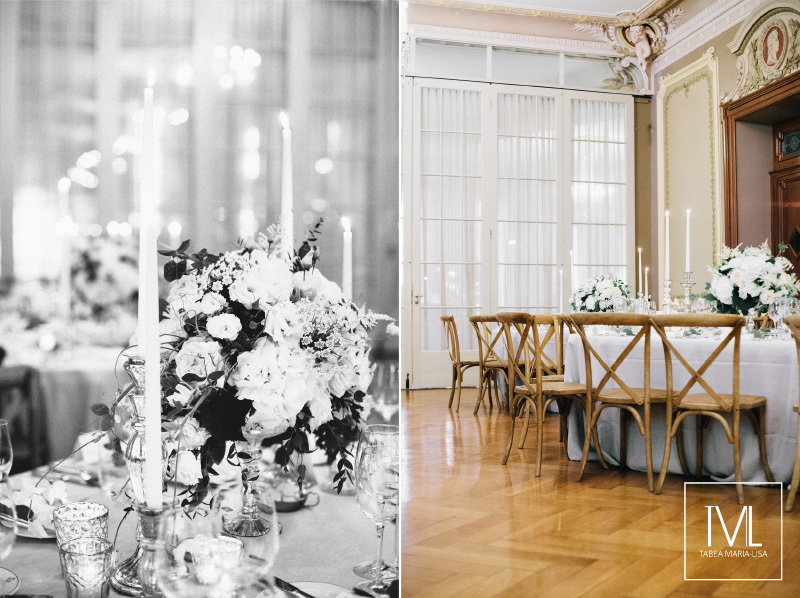 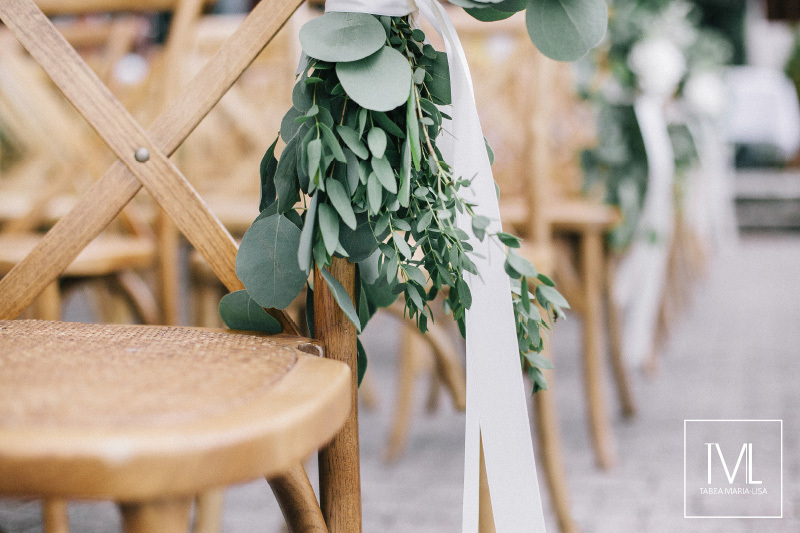 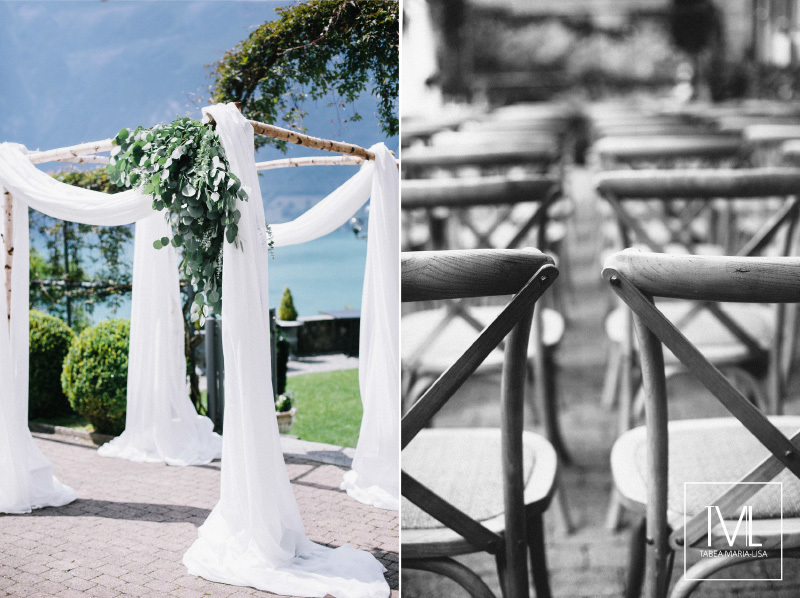 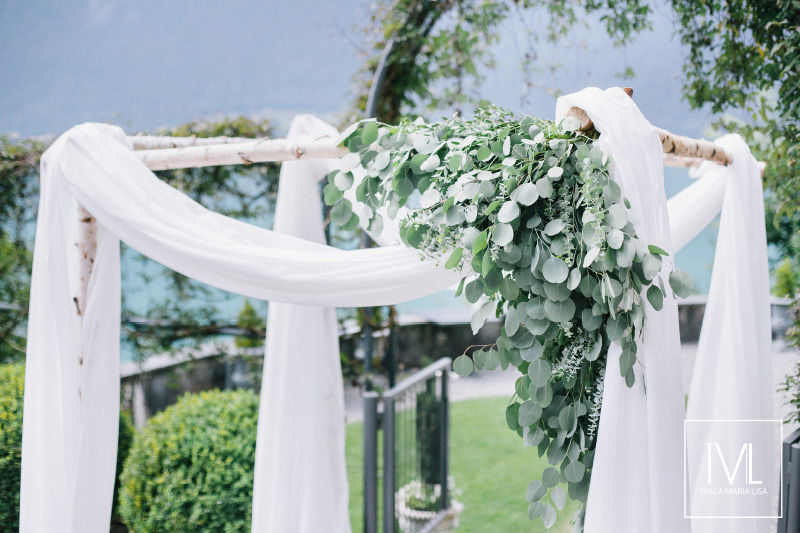 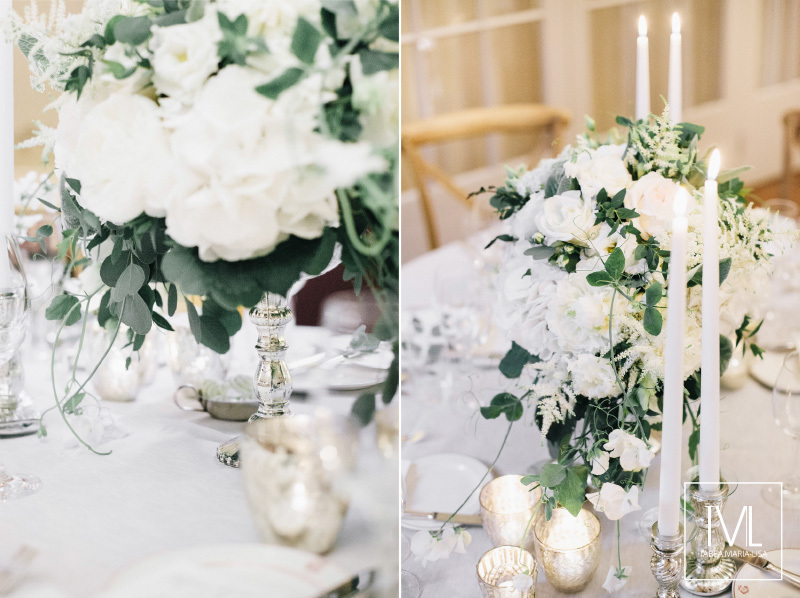 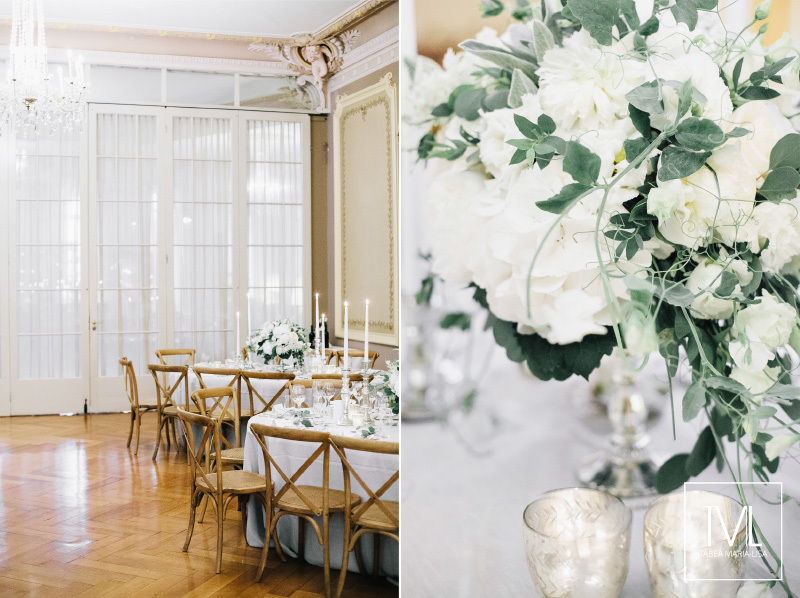 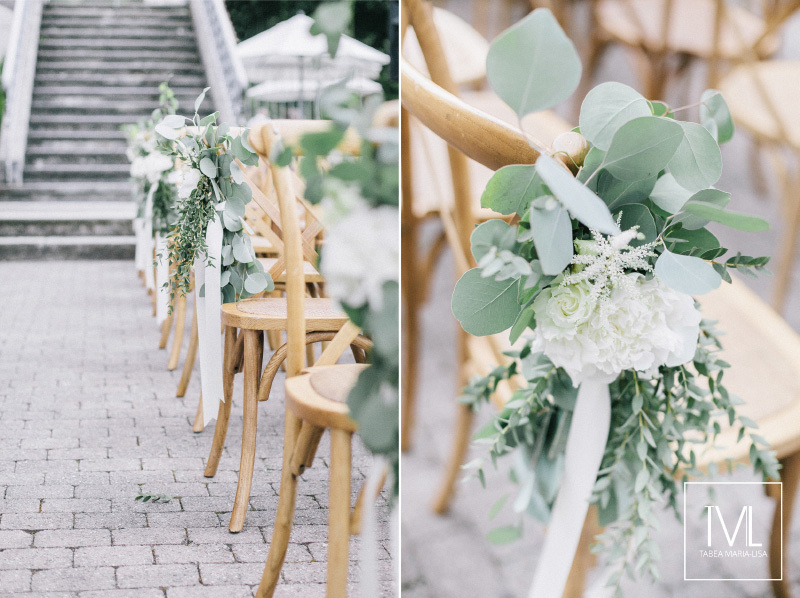 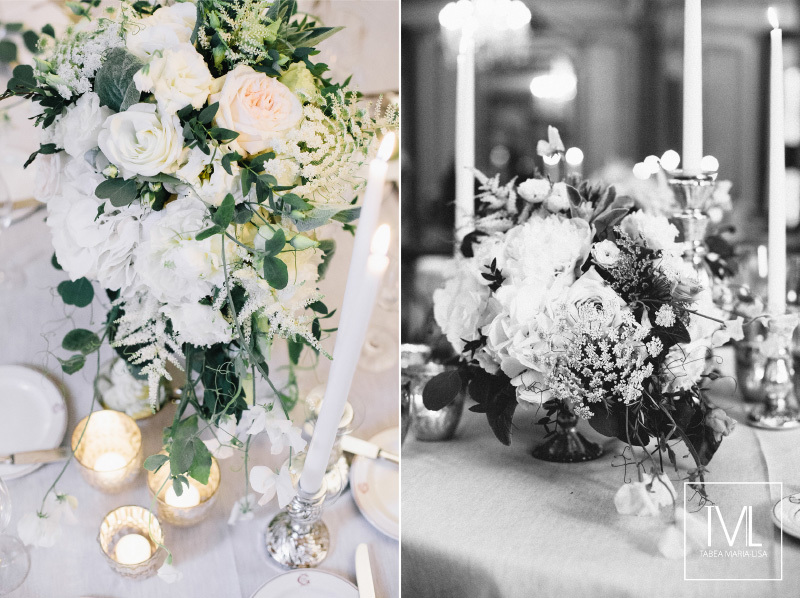 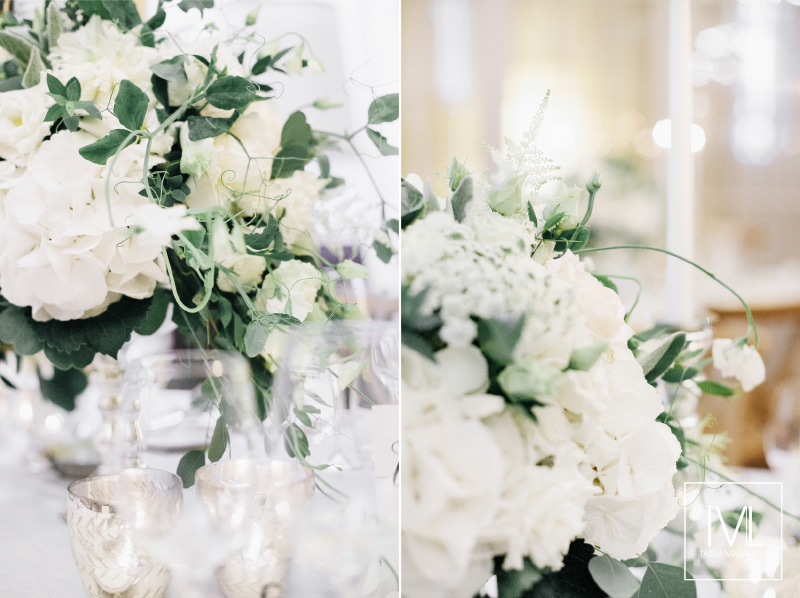 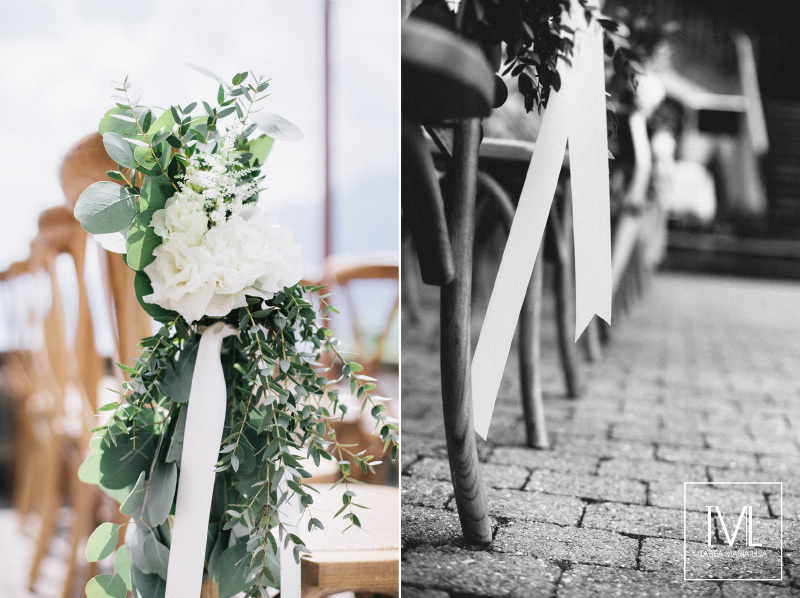 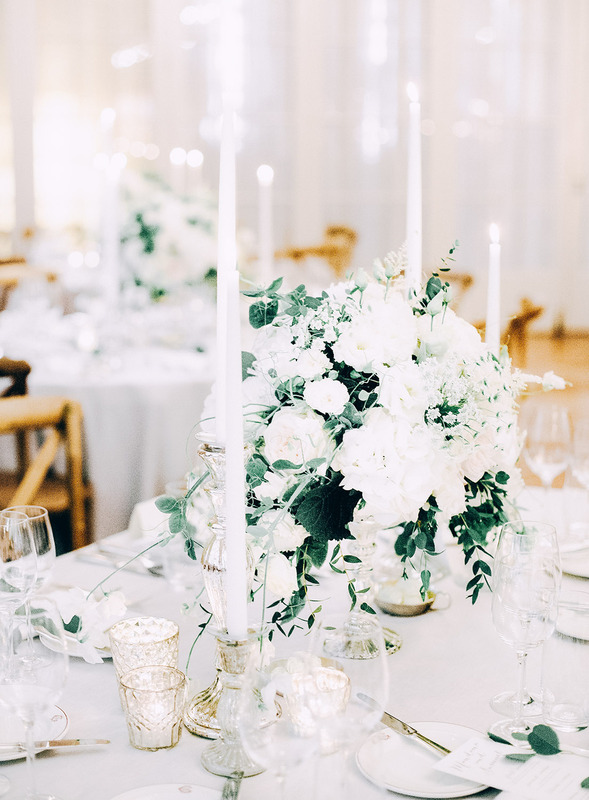 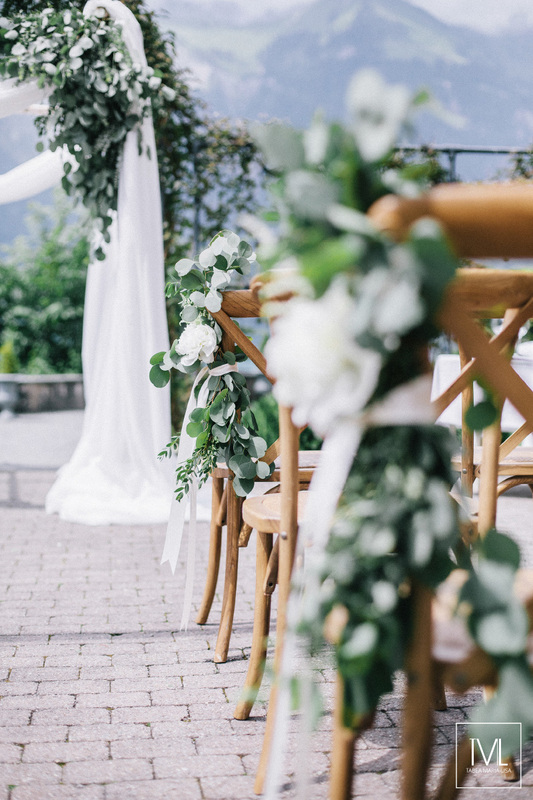 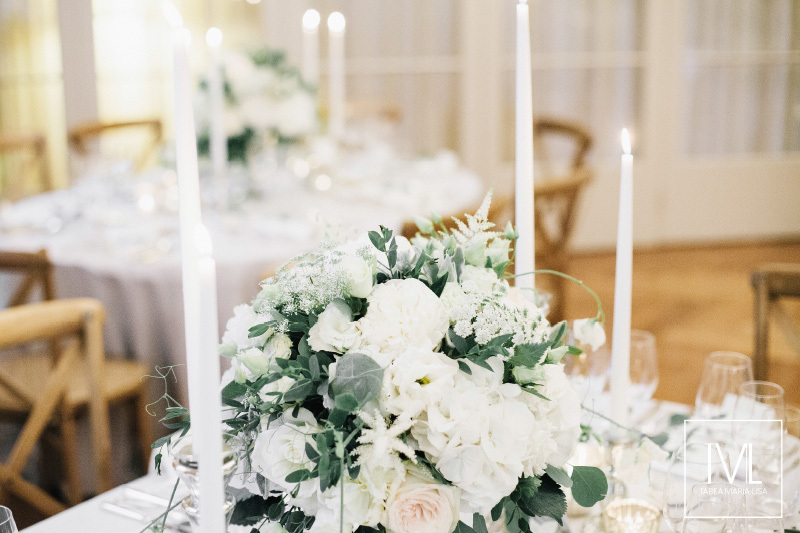 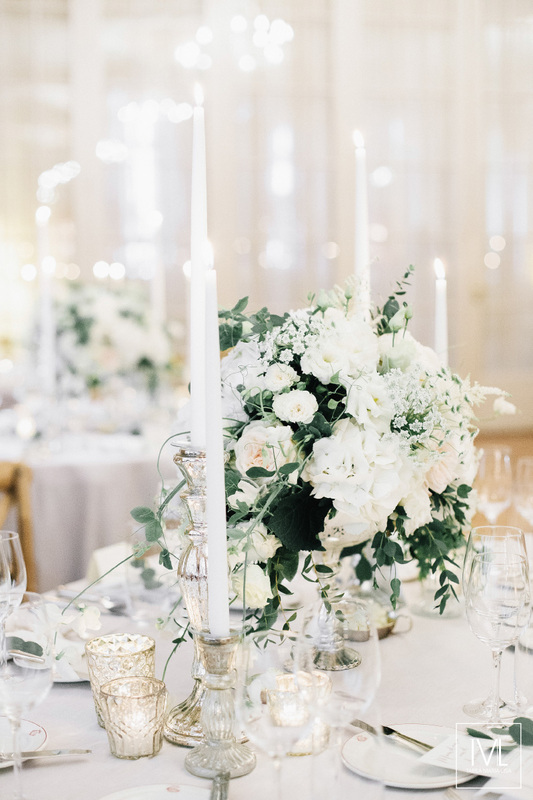 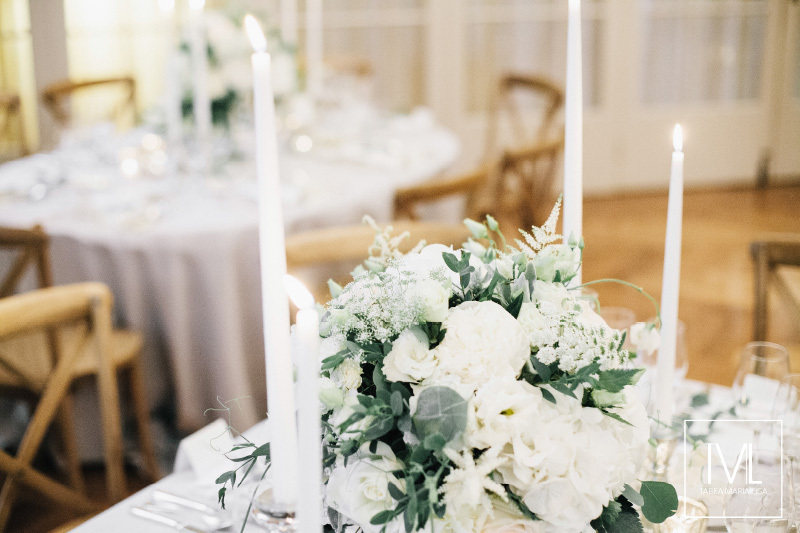 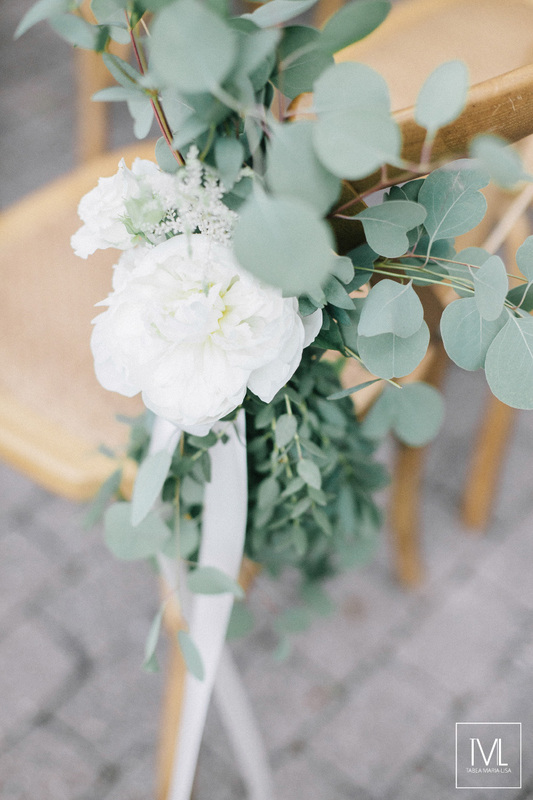 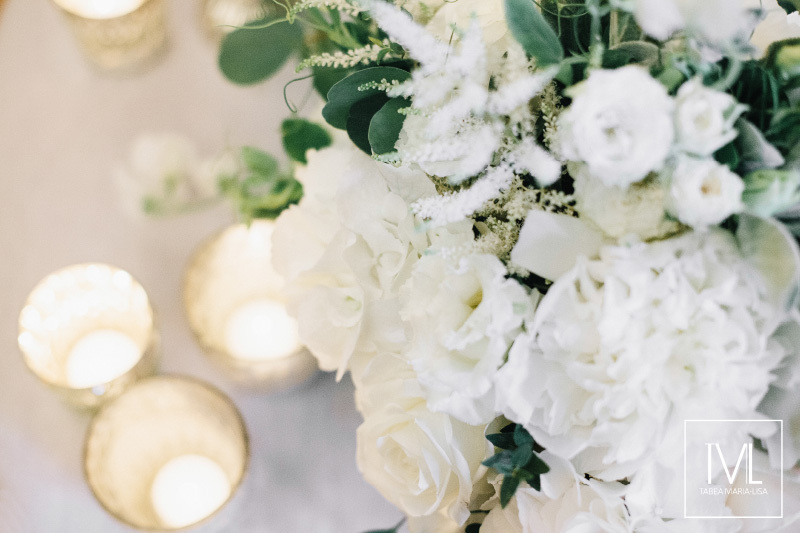 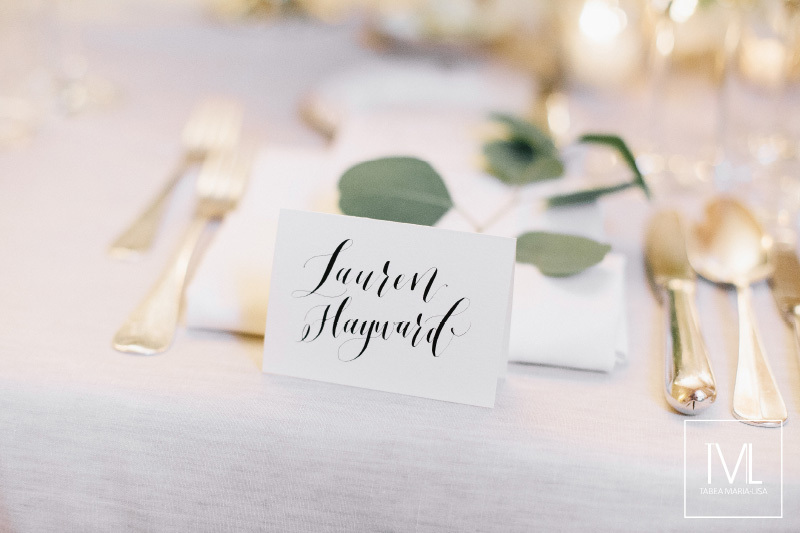 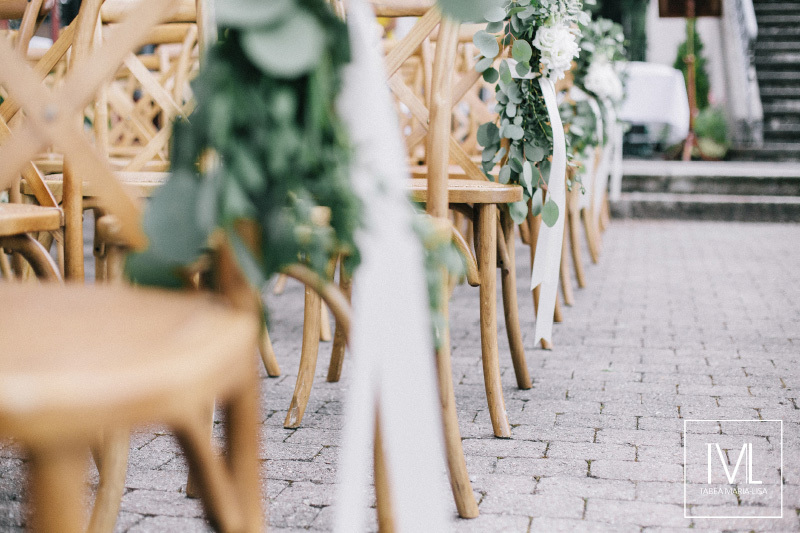 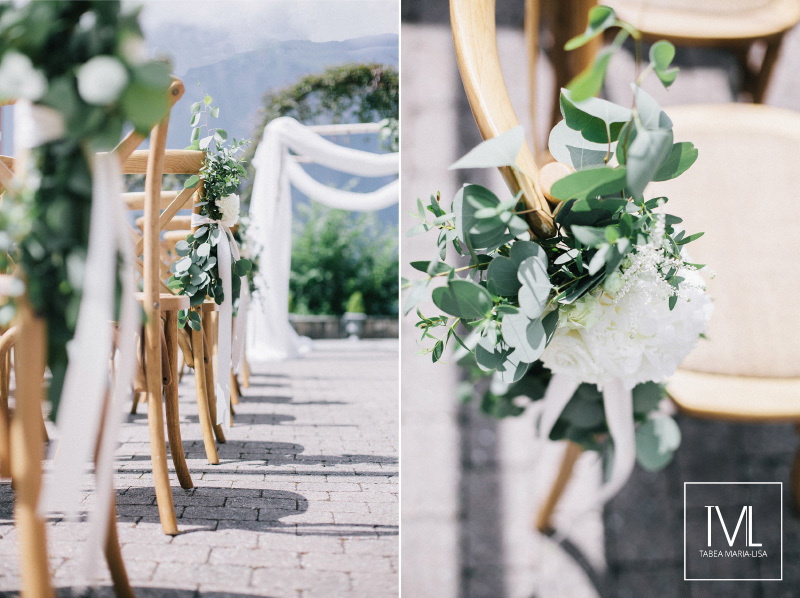 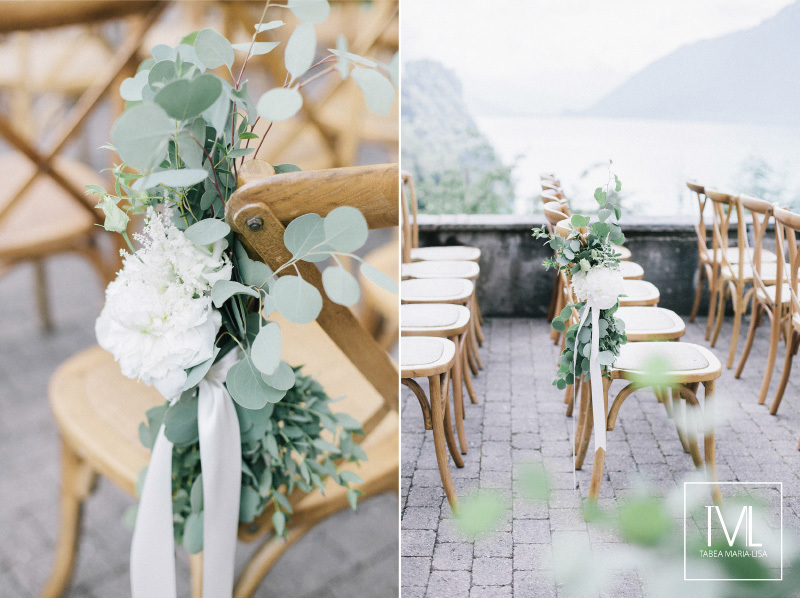 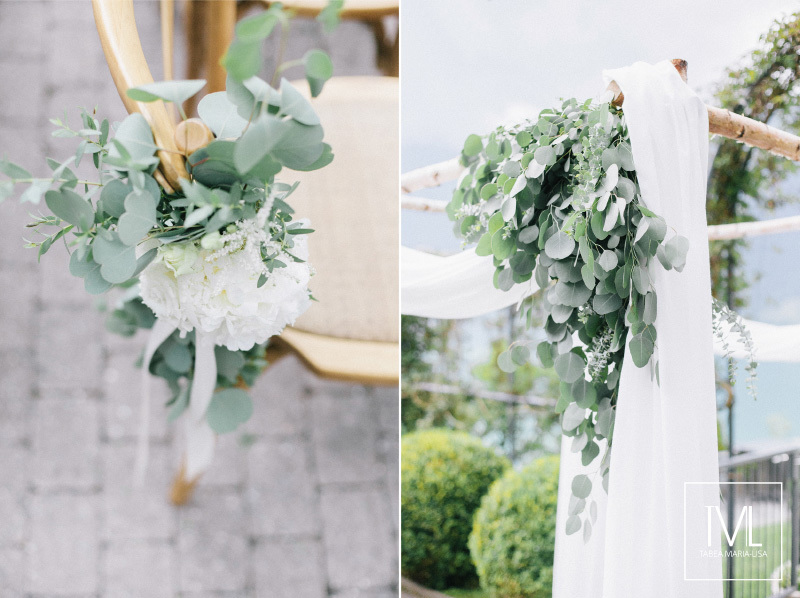 So concerning todays wedding on our blog we did last year, the bride and groom wished for an organic styling with a lot of Eucalyptus, other greenery and that all the arrangements should be done with a wild approach. 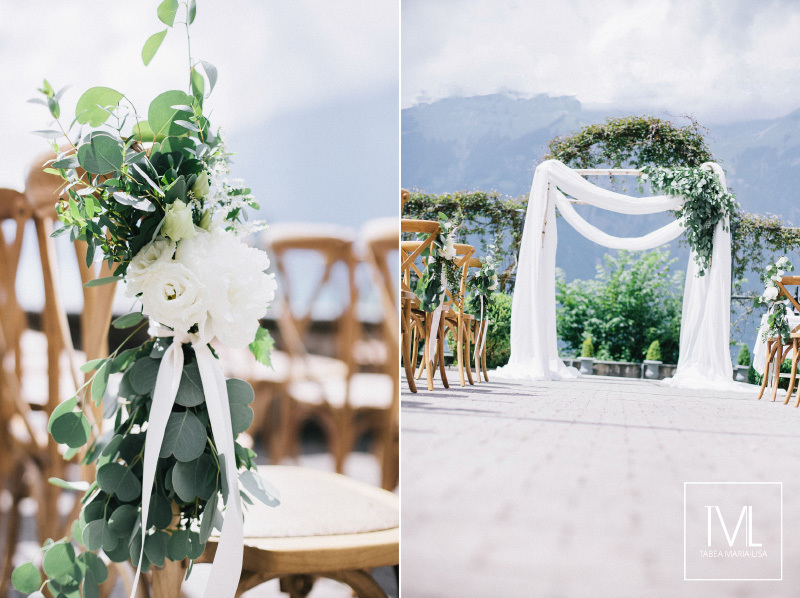 I was so happy and thrilled to create something special for this lovely couple from phoenix who came all the way to Switzerland to get married. 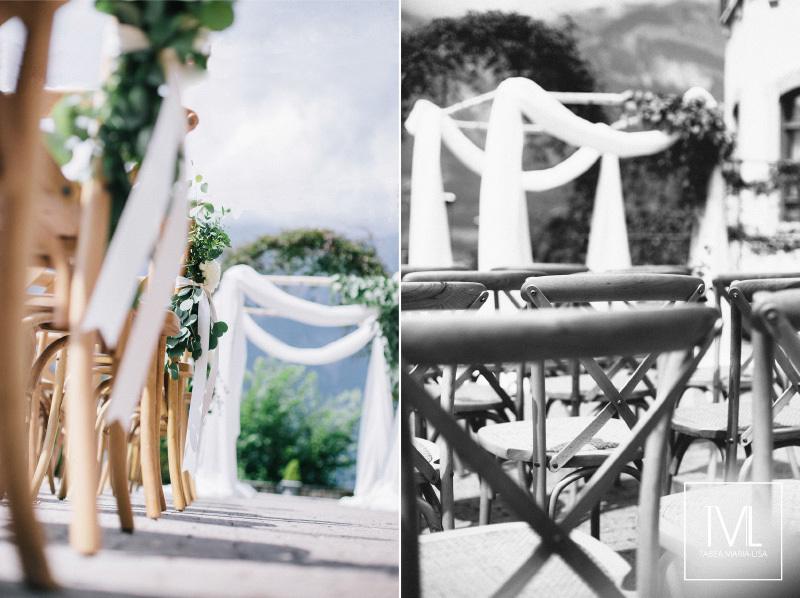 The thing is, when the couple came to me, they’ve already chosen the Location, because they shared some personal memories with it, so it was my job to create this organic look into a location which actually didn’t especially support this styling with their inventory. 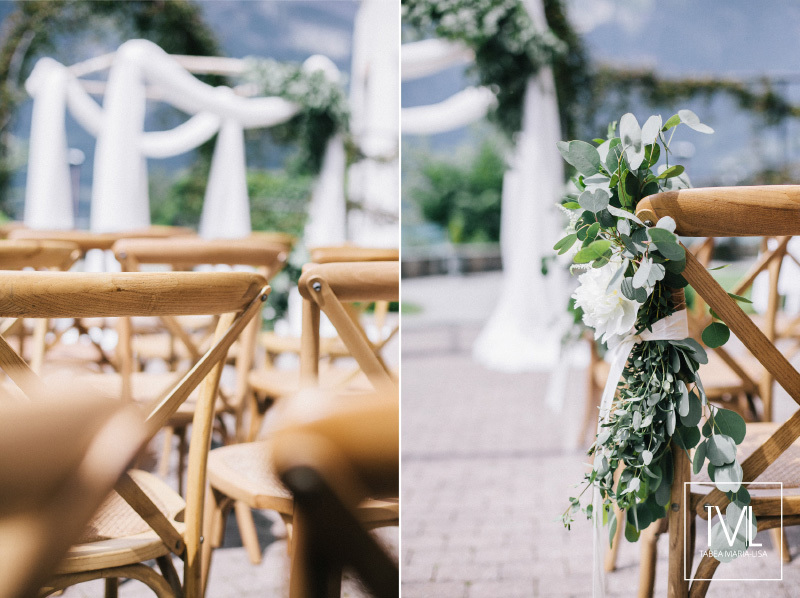 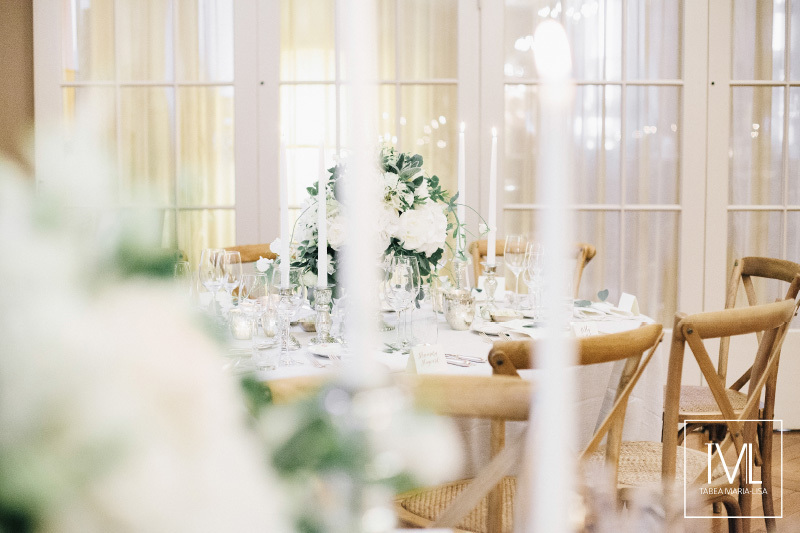 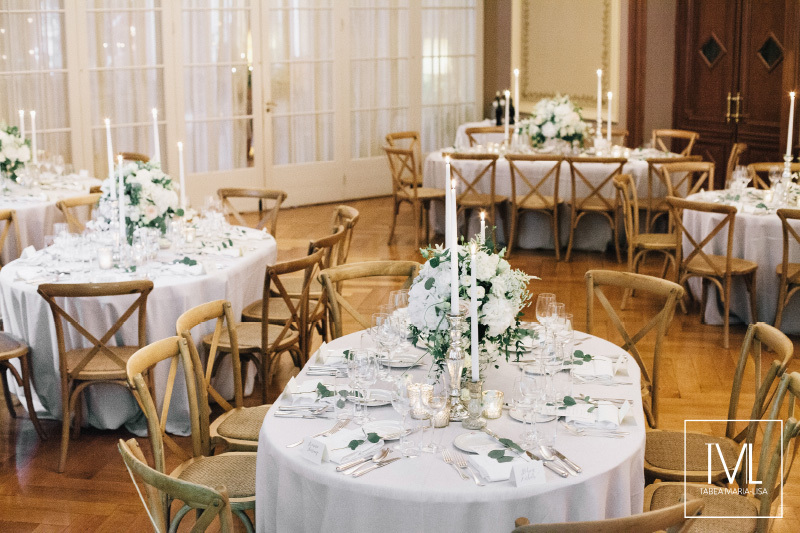 So we decided to go with lovely grey linen for the tables and add to it beautiful wooden Saint Rémy chairs to give the whole room this very special organic feeling. 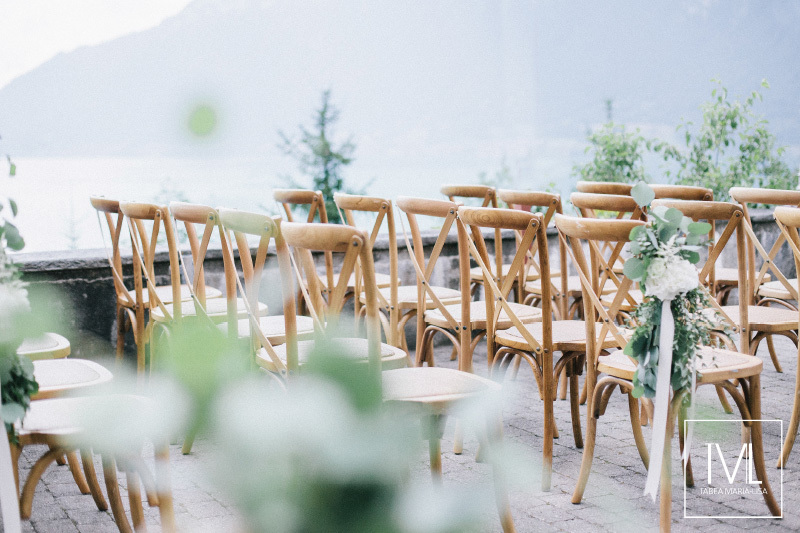 It is true, that you can almost create every Location to a styling you wish for, but you have to work with the right inventory. 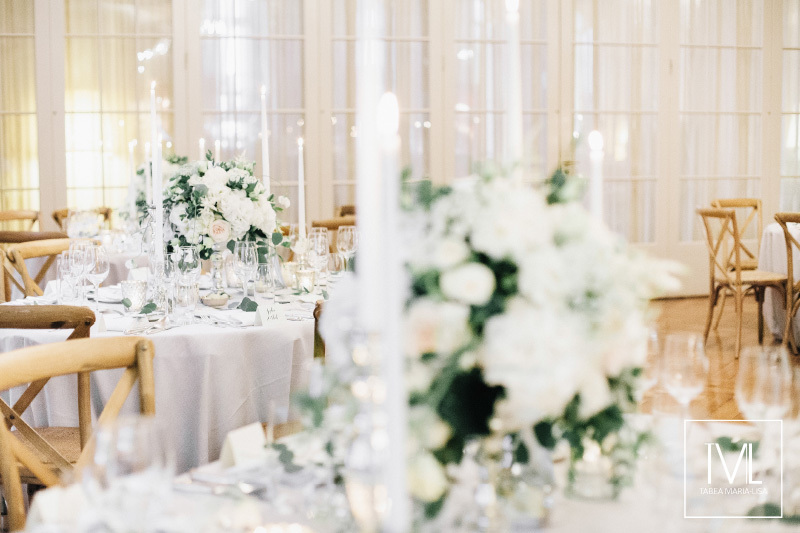 Otherwise you can spend a fortune for your flowers and decoration, but without the suitable tablecloth, chairs, napkins etc. 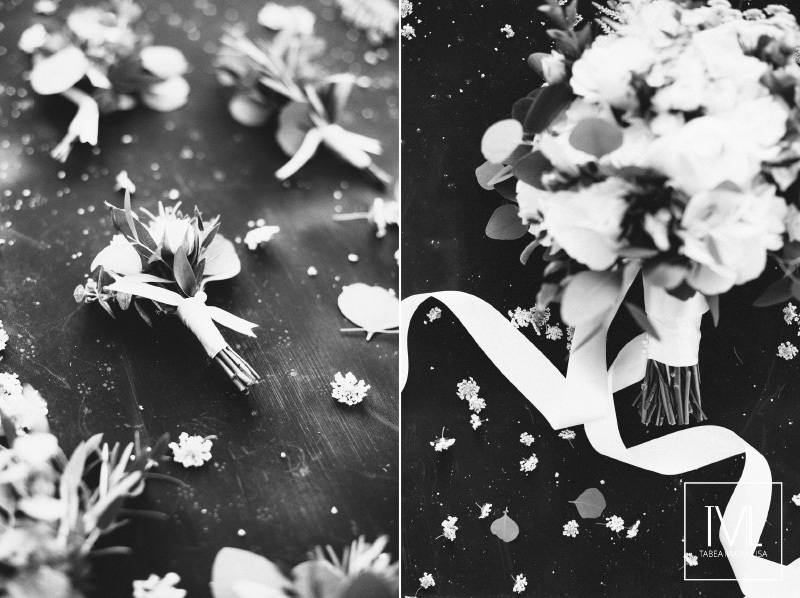 it won’t make up for it. 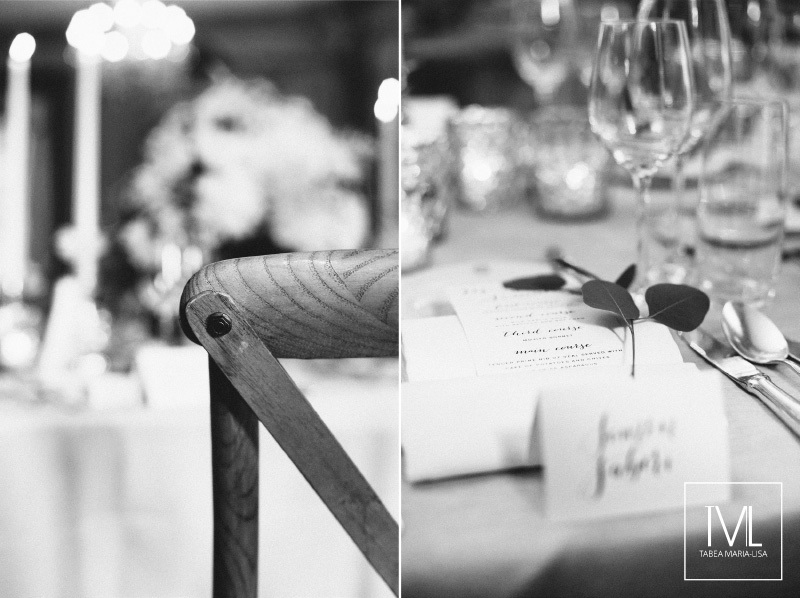 So lovely wedding couples to be: Please consider the inventory when you go Location-hunting. 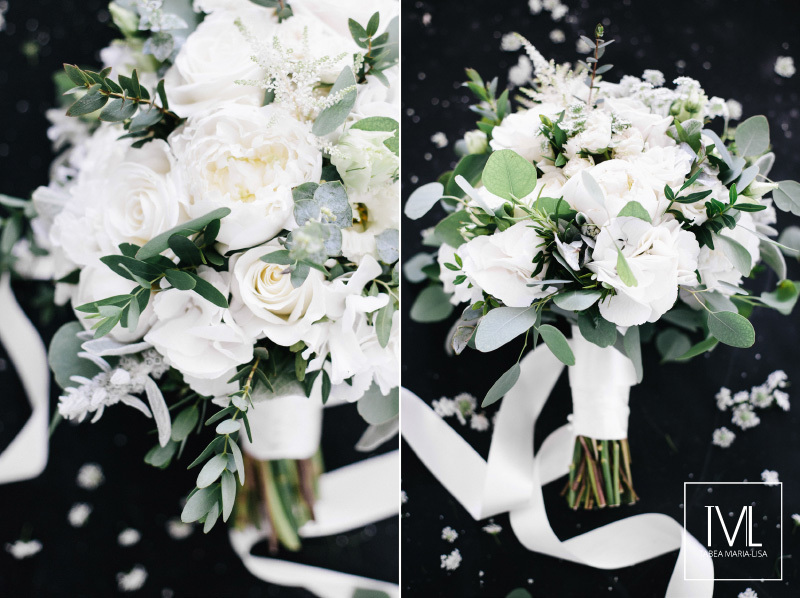 Always take pictures of it and discuss it with your floral designer. 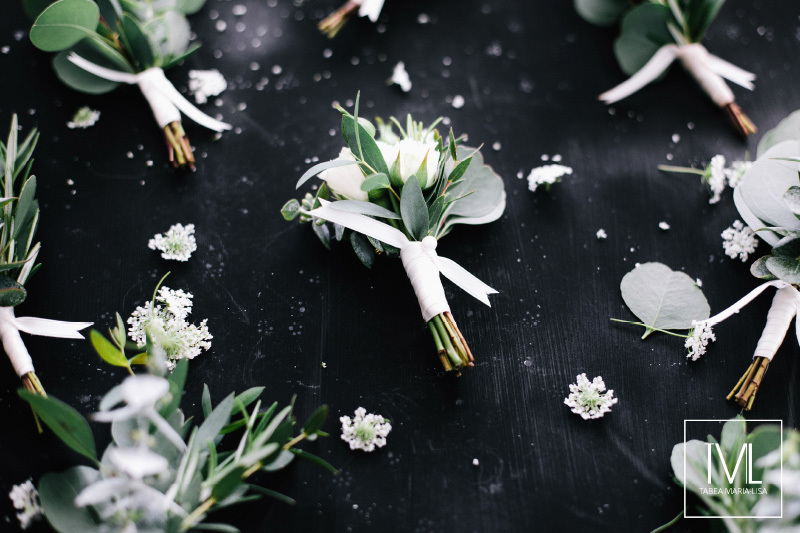 She or he will make the best of it. 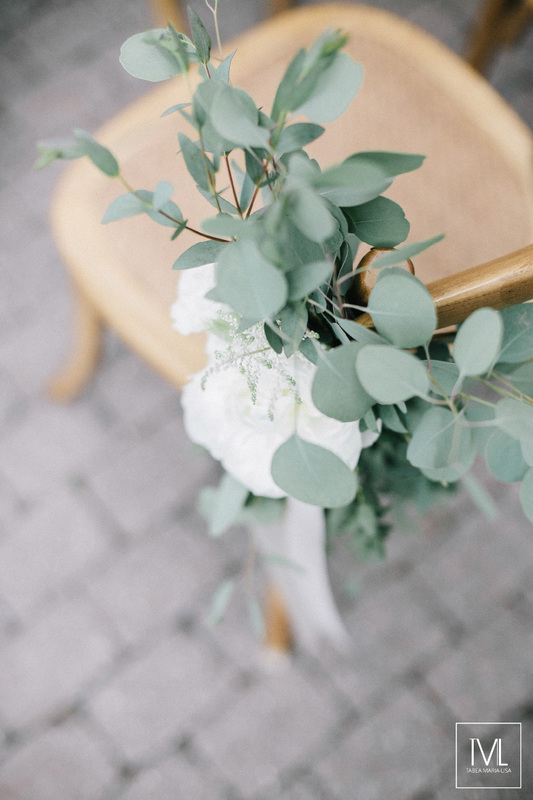 Have a lovely and exciting week!